I enjoy attending a great many events as Chancellor of UIS, but I have to say that alumni events hold a special place in my heart. Friday night’s annual UIS Alumni Gala gave several hundred of our alums and friends an opportunity to connect and in some cases reconnect with fellow alumni and friends. I witnessed more than one of those reconnecting moments on Friday night at the Abraham Lincoln President Museum – a great venue for a party. It is truly heartwarming to see our seasoned alumni take time to connect with younger alums and offer words of encouragement. 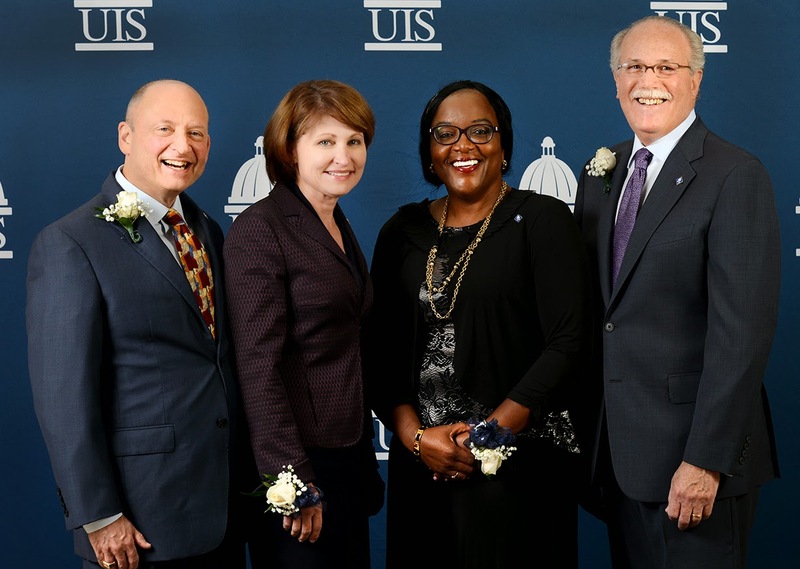 At the gala, we honored four remarkable members of the UIS family for their professional achievements and service; Ralph Blackman, June Agamah and Julie and William Kellner. Each of these award winners acknowledged the important role that their college experience had played in their life and their stories were shining examples of how every person can make a difference in his or her corner of the world. These individuals are just four of the many reasons that the Prairie Stars shine so brightly around the world. Congratulations 2014 alumni award winners!